Do you know what NVIDIA GTX is? NVIDIA GTX is the synonym for the perfect gaming experience on PC. This is a popular family of GPUs called GeForce capable of delivering innovative game technology and game-altering performances. Nvidia GTX offers the best possible cinematic experience in 4K on Windows 10 PCs. A few days ago, there was news that the presence of Nvidia GeForce GTX 1660 Ti leaked. Of course, such pieces of information make gamers’ hearts pound in their chests as many want to learn what new features have been introduced. Some of the trusted sources, such as the renowned leaker TUM APISAK revealed the first benchmark for the incoming GeForce GTX 1660 Ti. The GeForce GTX 1660 Ti was put to the test by running the famous Ashes of Singularity game on a 1080 x 1920 resolution. 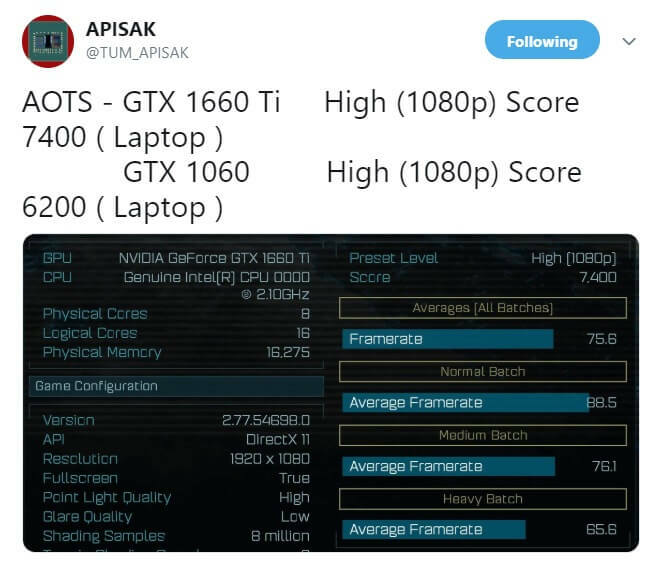 TUM APISAK demonstrated that GeForce GTX 1660 Ti delivers solid performance and a very fast gaming experience. You can check out the numbers in the screenshot below. Nvidia GTX 1660 Ti is faster than GTX 1060? As compared to GeForce GTX 1060, the mobile GeForce GTX 1660 Ti includes a score of 7,400 points, as you can see in the screenshot above. This makes it 19 percent faster than Nvidia GeForce GTX 1060 which got 6,200 points in the same benchmark. This can only mean one thing: the new GPU will make PC gaming even better. For the time being, not much information is available about the upcoming GeForce 1660 Ti. However, all the rumors seem to indicate that the new model will be the very first GTX Turing graphics card. 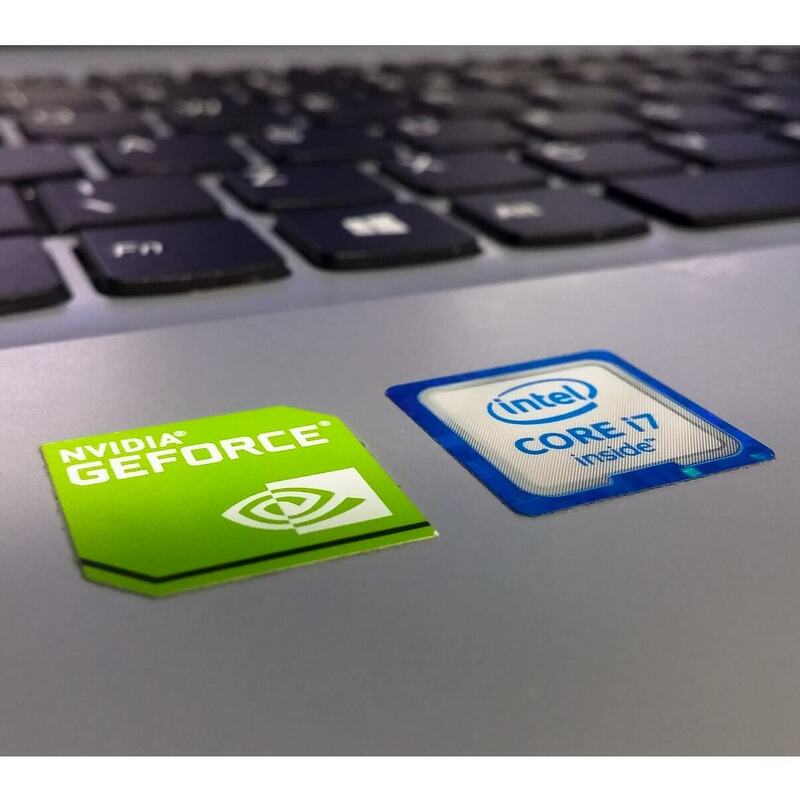 The latest rumors also suggest the new GPU should land in mid-February. The price tag is expected to range between $270 and $300. 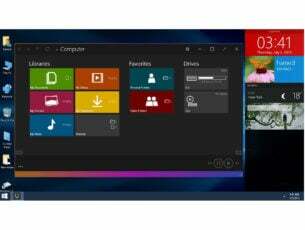 A new GPU model means only one thing: older versions will get significantly cheaper. We’ll keep an eye on this story and update this article as soon as new information is available.